madeleine brown handmade: ...aaaand we're back. The Christmas season was a whirlwind this year... as evidenced by my lack of updates since November. Oops. On the upside, in December I made lots of lovely Chrissy, birthday, and engagement jewels for people, that I can now reveal! 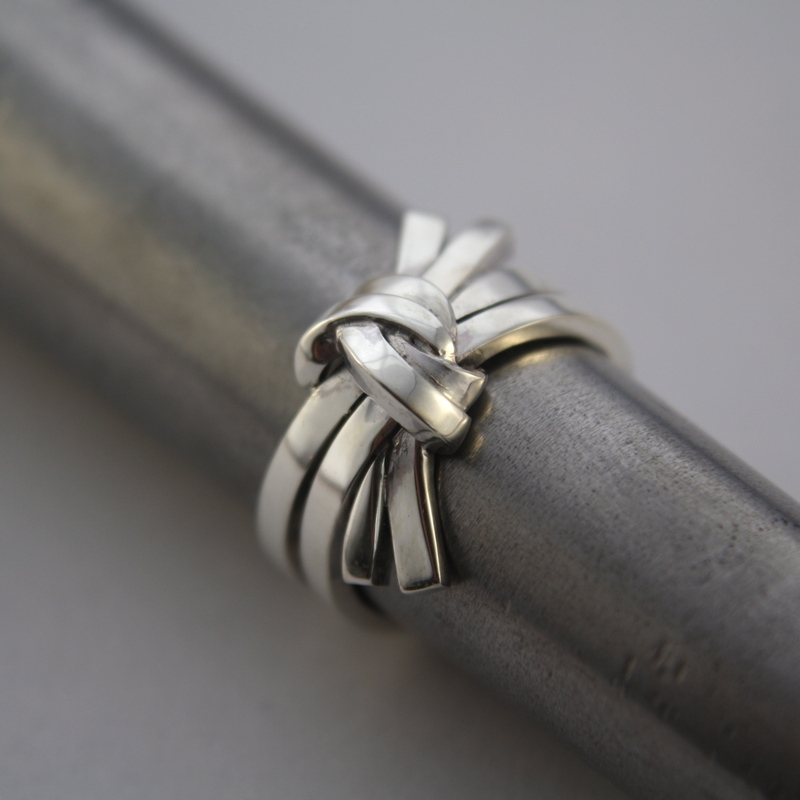 First up, this ring for Naomi and Mark- because this year, they're going to tie the knot! Geddit?? Apart from having awesome taste in jewellery, these two run my favourite cafe, Shucked. It's your favourite, too. Maybe you just don't know it yet. Check it out. I love this ring Mad- very well executed!